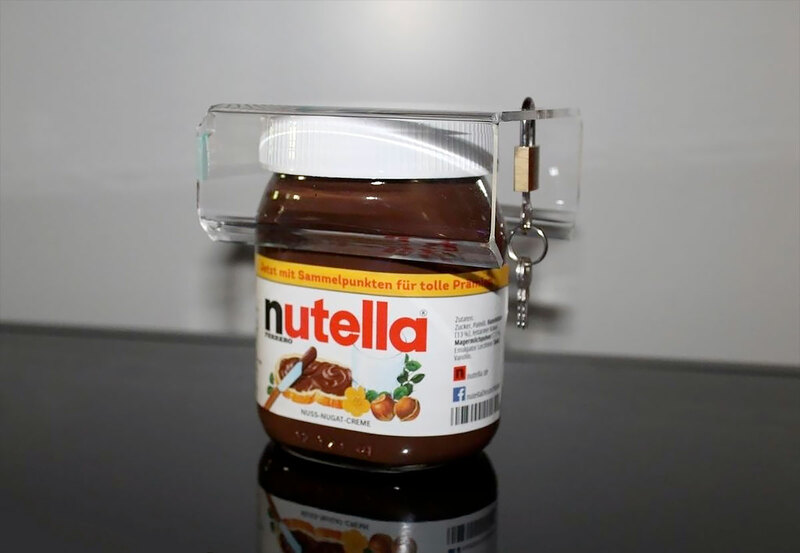 Transparent cover for Nutella jar can be locked with a padlock. Roommates will not be able to eat your chocolate paste. Nutella Lock comes with 2 keys.